Camillin Denny seems to be making a habit of winning Sussex Heritage Trust awards. Last year, it was a house on Westbourne Villas; the year before, a residence in Edburton. This year the directors’ own home on Hove Park Villas won the Small Scale Residential Award. Subtle details instantly suggest that the imposing semi-detached corner residence belongs to an architect. The curved eroco fence and a stainless steel recessed doorbell are instant giveaways. But it belongs to two architects in fact – Mark Camillin and Liam Denny. 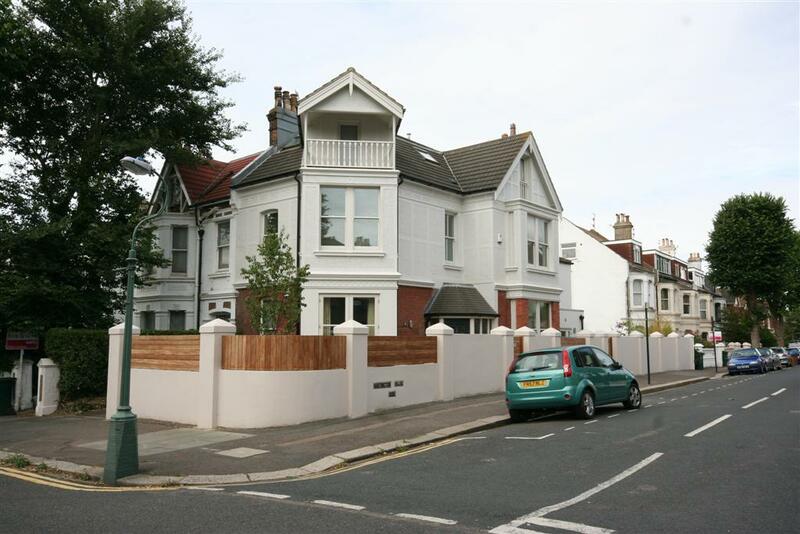 Hove Park Villas began as ‘West Brighton Road’ and was developed during the late 1800s. It consists principally of substantial detached and semi-detached houses though a terrace of shops occupies its lower portion just above Hove Station. A large mirror beside the front door greets visitors upon arrival who are then treated to a waxed floor, the same colour as dark chocolate, which extends from the hall into the study. Proudly displayed on that room’s wall is a drawing from Mark’s diploma project. Above is a fine example of Victorian ‘egg and dart’ coving. Scattered around the house are all sorts of architecture-related illustrations. 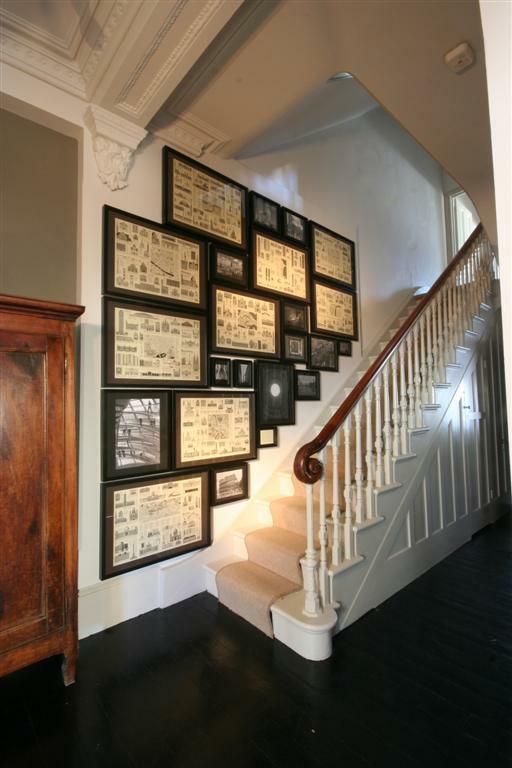 A collection of Anthony Harvey pictorial maps detailing some of the world’s most interesting cities framed in black has been strategically placed on the stairway alongside photographs from those same cities. Barcelona, Chicago, Prague, Dublin, Rome, Florence and Berlin are all featured. There are five bedrooms in total; three on the first floor, two on the second. Each has been decorated in a fairly similar style using lots of dark wood and similar colours. Four matching shades of grey have been used throughout including “Elephant’s Breath” by Farrow & Ball. Dominic Severs at Camillin Denny was responsible for much of the design work (but no doubt the firm’s directors were demanding customers!). The larger of the two bedrooms on the second floor opens out onto a corner balcony. Whilst the master bedroom, directly below on the first floor, is the most impressive of the bedrooms, it doesn’t enjoy that same privilege. The corner lounge on the ground floor is a fantastic room and has double doors which open out onto a surprisingly private front garden with Indian sandstone slabs and a newly-planted Edinburgh birch. Slabs from India aside, the house features all sorts of environmental features including both photovoltaic cells and solar hot water panels – all considered, a delightful experience.